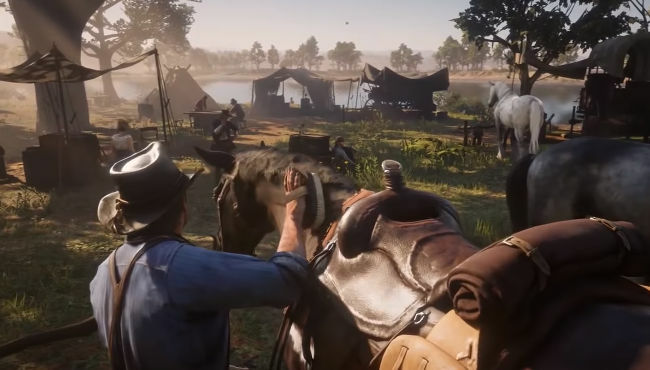 Horses play a major part in Red Dead Redemption 2, primarily because they're sometimes the only form of transportation in a huge wilderness. In this guide I'm going to explain how to tame and change horses but also cover the mechanics behind horse bond levels and their purpose. 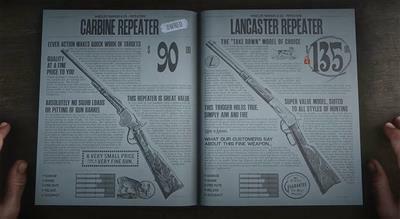 Just like cars in GTA, horses have their own looks and statistics in RDR2. Some horses will be faster, have better stamina and just look better. As you progress through the story, you'll be hunted by stronger enemies and will pursue ever greater bounties. Having a reliable, strong and speedy horse makes the world of difference. By feeding and constantly riding a wild horse you can eventually gain their trust, to a point where your saddle can be applied. The benefit of this investment is of course a free horse. The quick and easy way to get a horse comes at a cost. If you have the money and don't have the time or strength to take on a gang, then buying a horse is the safest option. If you're feeling brave then stealing a horse is a great way to get a good horse. The risk is that you'll be attacked by the gang so make sure you're suitably armed and have an escape route planned. Note, you cannot take a horse from Dutch's gang though. Whilst players can ride a horse temporarily, you must put on a saddle to make it yours permanently. A player can only have ONE permanent horse at a time and must remove a saddle before placing it on another. To saddle a horse simply approach with saddle in hand and press up on the controller D-Pad. To remove a saddle, approach horse and "lock on" using L2. Then press up on the D-Pad to remove the saddle. If the horse is dead there's no need for "lock on", simply press up on D-Pad. Remember to protect your own horse by hitching it to a hitching post to prevent it being stolen. Bond levels are an important part in upgrading your horse. As Bond levels increase, the horse becomes more reliable, stronger and a better all round partner. As you spend time with your horse you'll develop a bond of trust and understanding with it. Bonding Level 2: when horse is stationary press R1 and square to Rear the horse. A tired or dirty horse will tire faster and withstand less damage. 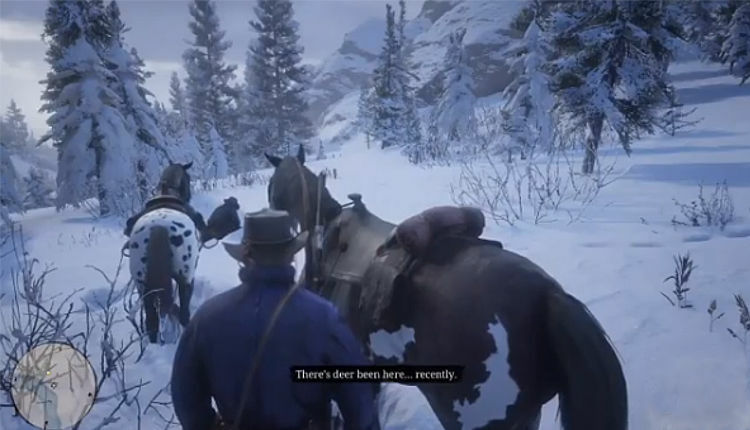 An on-screen warning appears when your horse is hungry. Open the menu and navigate to the horses section and select food to feed your horse. Nutritious food such as oat cakes, apples and hay are best for improving your horse's hunger and bonding. Plants and herbs can also be fed to your horse but "treat" food items such as Sugar Cubes and Peppermints will increase bonding slightly but offer no nutritional benefit. Keeping your horse in shape is important - feeding your horse too much will cause it to go overweight whilst underfeeding a horse results in a thin horse. Both of these are detrimental effects that directly impact your horses speed, stamina and health.